We Don't Just Do Design. We Do Business. Entrepreneurs and Business Owners Unite! When it comes to running a business, I understand your pain. I think everyone should own their own business. When you own your own business you stop asking for discounts. You clean up after yourself. You are nice to employees and you pay your invoices on time. At least I try to do all of these things. As someone who owns three businesses it is a constant battle to find balance between customer relationship management and actually making money. Starting a business is not easy and it takes time to get a product or service off the ground. If you have an actual product that sells great, you still have to figure out how to distribute it. Our friends over at Ugmonk recommend ShipStation but right now I am still shipping them or delivering them myself. This takes up time, time that I could be designing or making money in one of my other businesses. These costs right now are not passed on the customer, not really, because I have no real way to add up all of the time it takes to do all the little things. Before owning my own business I was oblivious to so much. When I went out to eat I used too many napkins and took extra ketchups and sometimes just threw them in the trash. There were times when I didn’t bus my own table or turn off the light when I left the bathroom. Now I’m a conservative Nazi. I appreciate the hard work that goes into a business so I bus my table, I turn off lights and I return unused condiments. Furthermore, having your own business allows you to see what it is like to interact with other designers and employees. When I asked for a design once of a building and I got a human, I was surprised that my request wasn’t interpreted how I wanted. This reminded of the many times clients had made requests of me and I had put my own design take on their ideas. Fortunately they weren’t super far off from their concept, but it made me realize that people want to see their ideas come to life, not mine. They hire me for their expertise in crafting something that they envision, not what I had wanted to create. As I continue working with my business DentonSwag.com I am constantly learning what it takes to build a brand. I read a book called People over Profit that was all about putting the customer and putting people first and it was awesome. I try to do that with everything that I do. I got the extra mile. I make really good money per hour, but when I divide up my actual hours spent then it isn’t so much. But, I love what I do and I am so privileged to get to work for myself that I won’t complain. I will work long days and sometimes through the night to get a project finished. It’s worth it every time. 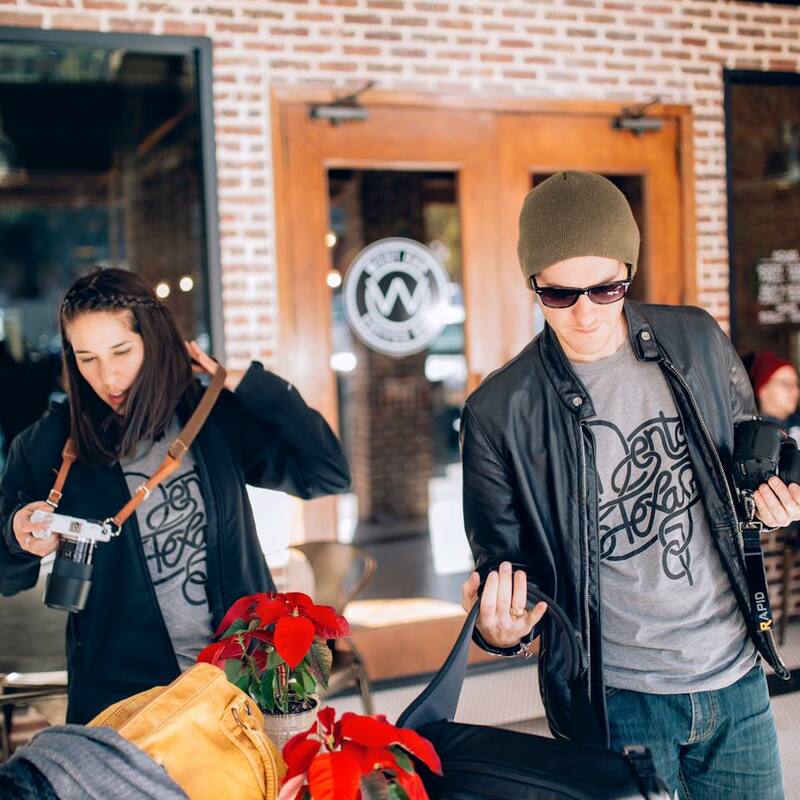 Here is one of my favorite shots from a Denton Swag shoot that we did last winter right around Christmas.